← Climate scepticism and UKIP trends – more than a coincidence? I agree about the primacy of energy reduction, and the arguments for subsidising efficiency measures. But I’m not sure the approach you suggest will result in a net carbon reduction; saving energy through one measure, without any overall budgeting can just displace the energy use (rebound effect). Similarly encouraging people to replace working products may not bring a net carbon reduction. This is why I think Tradable Energy Quotas (http://www.teqs.net/) are needed to guarantee reductions, something that it’s hard to see happening with the current piecemeal and contradictory [policy framework. But the impetus (both from government and campaigners) behind comprehensive schemes such as TEQs seems to have fallen away. In the meantime, the priority among more realistic actions should be urgent work to bring our housing standards at least in line with other parts of Northern Europe. We have higher rates of home ownership, and settle for much lower standards of building. Why is that? thanks for the comments. I kind of knew the rebound effect would come up, although I left it out of the original post because of space. The UKERC review on the rebound effect puts domestic energy rebound effects somewhere in the region of 10-30%. This is significant, but doesn;t mean that all domestic energy efficiency efforts are doomed to failure – in fact the contrary. On replcaement of new for old, studies on embodied energy vs energy use as a proportion of lfecycle total show that for appliances, embodied energy is a much lower proportion, so it makes sense to turn them over more quickly. The opposite is true for electronics, like laptops, which ironically of course we do replace more quickly. Thanks for the reply, and apologies for moving off topic so rapidly (& predictably). I agree that the rebound effect does not invalidate energy efficiency, but I still think it needs consideration. As I remember the UKERC review, the 10-30% figure is for the direct effect (e.g. heating to a higher temperature because it’s cheaper). Indirect and wider economic impacts are not well understood but could be significantly higher (over half – though still probably net positive). I might have the details wrong, but the issue is that efficiency typically drives growth and growth drives emissions. I don’t at all want to imply that this invalidates energy efficiency as a mitigation strategy. It should be our primary focus. But measures such as the proposed ESFIT will have limited carbon impact unless coupled with a holistic, top-down approach. Matt, I agree that it is vital that any ‘negawatts’ policy should directly benefit as many people as possible. I don’t see why efficient appliances couldn’t be made as cheap or cheaper than less efficient models. Indeed as we mentioned in our report, creating a market for electricity saving, there are a number of international examples of electricity saving programmes that have directly helped householders, particularly those that most need it. In Oregon there is a rebate programme for Energy Star appliances that targets low income homes. I would however question the assumption that supporting electricity saving programmes doesn’t indirectly help all consumers. The typical cost of the international electricity saving programmes we looked at (which included domestic as well as commercial and industrial schemes), came out at around £30/MWh which is much lower than typical generation costs. Buying negawatts should therefore lower everyone’s bills, not just those that have been directly affected by the scheme. thanks for the comment. I agree with a lot of what you say, but I still think there are some issues about the timing of inverstments and cost burdens. In some cases (e.g. 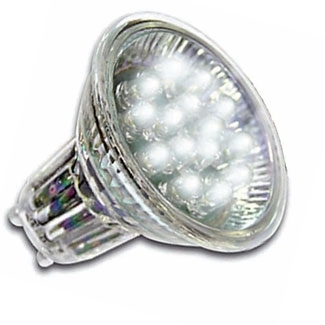 LEDs at the moment), while lifetime use costs are lower, equipment costs are higher, although with scale that shoudl come down. In other cases, as you say, efficient appliances may cost the same or less than less efficient ones. But that is not the whole issue. First, there are policy costs (and reaching low income homes often has the highest policy cost), and second there is the point about accelerated equipment turnover, which has a cost. This latter point is one about timing and spreading cost. A more efficent fridge may cost no more than the low efficiency one I have now, but replacing it before I otherwise would do so still means I incur a capital cost, and if that is scaled up and passed on within a single year to other energy consumers there will be a political problem. That, as I understand it, is Nick Eyre’s point about the need to spread out the burden of capital costs over time. This is relevant for your figure of £30/MWh. This presumably is the net lifetime cost of the programme, not the capital cost of the measure. This is cheap compared with new generating capacity, but we pay for that as costs levelised out over the lifetime of the investment (or some notional lifetime), whereas at the moment we pay the negawatt cost in one year. ESFITs are well worth trying, and as you say need to be packaged in a way that motivates people and is simple to grasp, unlike the way the Green Deal has gone so far. Rebound issues are not trivial but also not a reason for pessimism re energy efficiency; work by my colleagues at Surrey Univ. and Steve Sorrell at Sussex confirms that the range of 10-30% is about right, but there are many more complexities to tease out and some rebounds seem likely to go well above 30%. How to minimise or eliminate rebound effects is a very complicated issue, and in the case of low-income households our policy goal in many cases should be to enable some rebounds, so that wellbeing can be improved through higher energy-based comfort-taking. How we do ‘income capture and storage’ to prevent EE savings rebounding or even backfiring (100%+ rebound) remains to be worked out.